We had a leak in our wall. David from Mr Drain came to see us at 10.30 pm on a Friday night. The work was done shortly thereafter. I cannot say enough about the professionalism and knowledge of David and his team. The employee’s who did the job were absolutely outstanding. There was not a piece of pipe or anything left around when they were finished. They cleaned up any mess they made. If you ever need any plumbing services I would most definitely recommend this company. You will not be disappointed. Thank you David and all of your team. Keep up the good work. The kitchen sink of one of our tenants was blocked. We spent 2 hours with 2 plungers but the problem remained. We called our regular plumber who used 25 foot snake and kinetic air ram but after 2 long long hours he gave up in frustration for the first time ever. Our plumber did not recommend anyone else. As a last resort we called Mr. Drain who arrived with a heavy duty 75 foot snake. They worked like true professionals. After less than an hour the water in the pipes was running smoothly again. We were most relieved. The plumber from Mr. Drain also tightened lose gaskets and added bypass connection for easier access in the future. We would most certainly hire Mr. Drain in the future. Max just finished doing a camera inspection of our drain because we would like to get a backflow valve installed. He was friendly, efficient, and explained very clearly what we were looking at and what issues to look for. He even gave me some great help and tips on how to keep drains clear. Thanks for your help today, Max! We bought a new house. 3 weeks later a mini tornado overwhelmed the city sewers which backflowed into many housed. An inadequate and unmaintained sewer backflow valve in our new home created a disastrous situation: approximately 2,000 litres of sewage flowed into our basement through the toilet and bathtub. We called Mr Drain for help. Howard came to see us immediately, he took charge of the situation, made arrangements to have the defective undersized valve replaced immediately with the appropriate valve. He spent a great deal of time talking to us, reassuring us, calming us. After this horrible ordeal we felt like there was light at the end of the dark tunnel. His men showed up to do the work on time. They were all courteous and extremely polite. They jackhammered the basement floor and made a huge (but unavoidable) mess. They cleaned up everything thoroughly before they left. They showed what they did, what they installed, how it works, they answered all questions. Tasso was calm and reassuring. Howard came to oversee the job which had been initially estimated to take 2 hours. But the retrofit installation was problematic due to the cramped space (inside a closet) and insufficient sewage pipe. They had to jackhammer some more flooring. It was a long hard job in a very cramped space. The job got done, the premises were left unbelievably clean, we just had to pass a wet mop. I paid my invoice, there was no additional fee for all the extra work they had to do. I was speechless. Howard is reassuring, his years of experience in his business are comforting, he gave us advice on how to deal with the lawyers and offered to come to court with us – if it ever got that far. These are professionals. It was an amazing stroke of luck that they were the first to answer our panicked call for help. I am and will forever be a loyal customer. Thank you. A huge thank you from the heart. Very fast and efficient team, got the job done fast. The owners are very empathetic and accommodating. They even helped me fight with my insurance company to get paid for the whole repair. Very professional and i would recommend. I Had Tasso and AJ service my problem at my home for a blocked sub pump drain. I must say I was very impressed with there knowledge, professionalism in rectifying my problem which other plumbers had problems doing. They cleaned up after themselves were very friendly and polite at all times. I own a dealership and will definitely call Monsieur Drain with all my plumbing problems. Thank You guys. Good people doing excellent work. I wanted to give a great testimonial detailing what good work they did. But it is their genuine concern to get the work done quickly efficiently during a very stressful time for the customer that is the true testimonial. We had Anthony do our work but as you see everyone appreciates the person that did their home. David taught them well that they are in someone’s home. I hope everyone calls them first and not waste time and money. Thanks guys! I phoned Monsieur Drain for a problem and they responded immediately. The plumber that came was Max and he is superb. I was very very happy with his work. He is very knowledgeable, polite and works very clean. Should I ever need to call the office, I definitely would ask for only Max to come to my home for service. Monsieur Drain is very lucky to have an employee such as Max. I would highly recommend your company. A very satisfied customer. I would like to thank the people at Monsieur Drain for their speedy response to help me with my serious problem. But most of all I would like to say and inform you that Max the Service Man that you sent is very knowledgeable, pleasant, worked very very clean and knew what he was doing. I was extremely pleased with him and should I at any point need your service again, I would strongly request that Max be the one to come. I feel that you are very lucky to have such an employee. I was extremely please by the professional and courteous service provided by Max and Tasso. They answered all my questions, and also took the time to speak with my husband over the phone. Honestly, extremely happy and would definitely recommend them. Came fast, did a careful and thorough inspection of what was going on in the main drain, provided a solid explanation, and finally suggested the solution. Staff was friendly and took their time to address the situation. Definitely happy with the service. Super service de Tasso et AJ qui sont venu effectuer un travail d’urgence un samedi soir et de Max qui a pris notre appel de service après ventes. Tous ont été très professionnel et courtois. Merci à l’équipe ! Sink backed up at 2:30pm. Max and Anthony arrived by 3pm. All cleared by 3:30pm. Nice to deal with guys that know what their doing and have the right tools. Have to be good to work on a fixed price basis which I also liked. Good job guys! This is the second time in 3 months Max has had to visit my house, both calls were independant from one another. Great service, knowledgeable, clean and professional. I also had very professional service from your call centre when I had to book both of my appointments. Great work! Merci à Maxime et Tasso qui ont su donner un service courtois, efficace et professionnel. Ils ont prit le temps de répondre à mes questions, ont laissé les lieux propres et ont quitté en s`assurant que le problème soit vraiment réglé. J`ai apprécié sentir que la priorité était de bien finir le travail et non de passer à un autre client. Merci à vous! Hello!I called Mr.Drain in the evening for a next day service.At 9 o’clock the next day I had a phone call from Maxime and in less than 1 hour he was at my house. I had a clogged pipe in the kitchen and the problem was solved in less than 30 min. Quickly and without any problem. Maxime and his colleague were very nice and check before leaving to make sure that any leaks will occur. It was my first time to call a plumber. I choked a little about the price, but the problem is solved,so, I will make sure that I will not need a plumber again. When I made the service call, I was holding my breath as I was expecting the worst. The receptionist Dora, was upbeat and put me at ease. When the technicians arrived, Max and Tasso, they new right away what the problem was, gave me follow up pointers and Tasso also mentioned that our water heaters would need to be changed soon! I am so satisfied, with the service that I received today, I would recommend then in a heart beat! Great service, on time, efficient and friendly. I called this morning with a clogged bath drain and toilet drain after a”sloppy’ renovation team clogged the drains from not protecting the pipes during demolition. The receptionist helped escalate the team to support me and Max & A.J showed up within hours and had the issue resolved within an hour..
Maxime (ou Maxin) et A.J. ont fait un excellent travail … très professionnels et très aimables… ils se sont assurés que mon problème de drain bouché était bien réglé avant de quitter . Merci les gars !!!! Great service, on time, efficient and friendly… I would recommend to any friends or family. My experience with Mr. Drain has been a long one, but a good one, and I will explain why. It started off with them passing a camera to find the issue with my basement plumbing as it was constantly backing up. Turns out, the pipes under the foundation needed to be changed as they were on a negative slope and the backflow valves were old and not working properly. They changed everything A to Z. When I called and said that I wasn’t satisfied with the clean up, they came back and did a 2nd cleanup, to my satisfaction, something that most companies wouldn’t do. During the job there was some collateral damage, which is normal for such a job, and they paid to repair it (ie: scratched floor or wall). The job was done great and I’ve had no issues since with the work. Fast forward a few months, I get a visit from the city and they wanted me to change some things because in my municipality they passed some ridiculous bylaw where they added different requirements to repair plumbing (at the charge of the homeowner ofcourse!). I called Howard and like a man of his word, he came back and got the job done at a fraction of what it would have cost had I got it done with another company. All in all, I am very satisfied with the end result, albeit being a long ride, it is now resolved and my house plumbing is all brand new and up to code AND city regulation. Highly recommended company. I had water coming up in my basement. I called them and they came same day. I couldn’t ask for better service & professionalism. They were amazing. Thank you so much! You saved the day. My tenants clogged up their shower drain and I needed a plumber ASAP. Maxime was extremely professional, friendly, and a great worker. Came a few hours after we spoke and cleared the problem right up! Would definitely recommend this company for all your plumbing needs. First time ever calling a plumber, couldn’t have asked for better service😀 Tasso and Tasso were great, friendly and hardworking guys. They were efficient and very clean. Very happy with the service. If I ever need work done again, mr. Drain is we’re I’ll call. Thank you! I had a smell coming from my upstairs closet didn’t know where it was coming from . thought maybe it could be the drain in my garage that was blocked , with a quick phone call to David Within 24 hours he had sent a guy (Tasso) to come check this situation and When he was here he quickly informed me that it needed to be cleaned . The service I received from Tasso and Anthony was excellent. They arrived quickly and were quick to find a solution and fix the problem. They were polite, honest, hard working and made sure to clean up once the job was done. I had a broken water main pipe and needed help quickly. It was Construction Holiday Week but that did not phase Howard and his Team. They came the next day and fixed my problem. Howard was great to work with. He was honest and willing to do what was needed to get my job done right and fast. His team did quality work. I am a very satisfied customer…. J’ai contacté Mr. Drain au milieu de la nuit, c’est la seule compagnie qui a répondu. Maxim et Evan se sont présentés rapidement. Très professionnel, je recommande cette compagnie. We woke up to a smelly sewer back-up disaster, in a panic I googled the plumber Monsieur Drain. He arrived quickly, diagnosed the problem right away (a collapsed drain) and had a team here working inside and outside to fix the problem the same day. His team members were polite, efficient, and hard working, and they stayed until the clean up was complete. Moreover, Mr. Drain returned the day after to give a full report to the insurance adjuster with me, and he patiently, and kindly explained to us what was to be expected. Navigating many different issues during an emergency is highly stressfull, and Mr. Drain goes above and beyond to help. I give him and his team 10 gold stars! Fast service very polite, Explained thoroughly the problem and the estimated cost .. Matheu and Anastasios were great thank you guys.. Will definitely refer all my friends . Maxim was Professional,Knowledgeable and was able to deliver when asked questions. i was satisfied with his work ethics and being on time to do the camera inspection of the sewage pipes.Thanks. I am very happy with Monsieur Drains service. 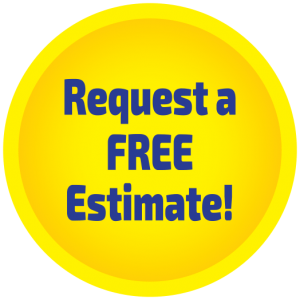 David has been very helpful after i had a very bad experience with another plumber to replace my main Drain Sewage pipe.David has been very patient and professional and Excellent Customer service. Thanks David and Howard. Called at 10am on a Saturday and by 12pm they were at my door . They fixed the problem within an hour thanks a lot guy’s (Tasso & Antony ). I do recommend them. They are very pleasant, polite and answered all our questions. 5 stars to them. Nous avons fait appel; à Monsieur Drain. pour déblocage de tuyauterie.. Quel service rapide et courtois ! Maxime et son collègue Anastasi, ont été d’un professionnalisme exceptionnel. Ils ont su résoudre le problème efficacement et nous ont donné des trucs pour éviter que cette situation se reproduise. Merci pour votre excellent service !!!! Nous n”hésiterons pas à vous recommander . Once again thank you and because there are jobs that we may still do and I did discuss them with Noel I hope you will give me the 10% off that you said you will give us to respond to the service you supplied . Thanks … Brian A.
Unbelievable service. Called for a sewage backup problem at 6:45AM and they where here in an hour! Problem was fixed and a camera inspection done in under 30 minutes. Tasso and Evan where professional, courteous, knowledgeable and gave clear and detailed information and recomendations. I have an IT service company that was built on service and I am a tough customer. This company and their staff are amazing. I would highly recommend them to anyone. We had water coming up the drain in our basement on Monther’s Day. We called Monsieur Drain and within half an hour Tasso and Anastasi were down to business. After assessing that our drain wasn’t clogged yet the water wasn’t receiding, Tasso and Anastasi noted that the city sewers were. Tasso called city officials and both he and Anastasi remained on site until the city proceded to fix the problem. Both men were wonderful helping clear our belongings from the wet area as we waited. They filmed and took the necessary pictures needed for us to claim the fees. I highly recommend Monsieur Drain. Had a blocked drain after 5 on a Sunday, gave Monsieur Drain a call and received excellent service. Tasso and Jr were quickly and were in and out in less than an hour. They were friendly and professional . With service like that, I would definitely recommend them to anyone. Keep up the great work!!!!!!! Having recently bought a centennial home when we discovered at 9.30pm at night that our drains were blocked and causing a rather ‘undesirable’ overflow in our downstairs shower we feared the worst. Tasso and JR arrived in under 30 minutes from first call and quickly put our minds at rest that they would help us. Professionally and quickly,keeping us informed all the way,they fixed the problem,helped us identify the cause and then amazingly proceeded to clean and scrub the bathroom before leaving ! Super happy with service and would recommend to all but particularly impressed with the friendliness effectiveness and absolute attention to customer service of Tasso and JR! Thanks so much ! Hi! I called Mr. Drain to have my sewer drains in my triplex inspected for cracks or negative slopes, and things like that. Max and Tasso came by and I have to say I have dealt with many plumbers and companies in the past (I have had to unblock my drains 4 times now over the past 4 years!) and they were BY FAR the most professional, knowledgeable and helpful in determining what the problem was. They offered solutions, explained clearly what needed to be done and even gave me a copy of the video. Two huge thumbs up to Max and Tasso and I would recommend them to anyone with drain issues. Thank you very much! J’ai fait appel à Monsieur Drain pour couper des racines obstruant mon drain principal. Maxime et Tasso, qui ont fait l’appel de service ont été très agréables et professionnels. Je vous recommande chaudement les services de Monsieur Drain. Intervention faite très rapidement. Merci à Maxime et à son collègue, très sympathiques, très professionnels. Ils ont répondus à toutes nos questions et nous ont donnés d’excellents conseils. Nous vous recommandons Mr Drain. I am really satisfied. My kitchen line was clogged, i called them, and two super professionals guys, Maxim &Tasso, came and resolved the big problem. They made sure everything was working properly. Excellent team.They are very efficient and very polite and I was extremely pleased with their work.I would recommend them for anyone. Thanks Again Maxim and Tasso, You are true professionals. I would not hesitate to call you again if I ever need you. Where there fast. Respected the price even if extra work where needed to make job. This is a true company that exceeds the expectations of Customer Service….. and after using them for a 4th time, they keep doing more! They go above and beyond normal requirements compared to your day to day service industry. Fast response time (as usual), great friendly service (always), and they do amazing problem solving to not only fix an issue, but work to prevent it from returning again! The team at Mr. Drain have treated me as a valued customer from day 1. They work with you to suit your needs, emergencies and support from first call to closure of file. I could not say enough of this team, and highly recommend them for any needs!! 5*!!! Word to the wise, call Monsieur Drain before anyone else! I had a flood in my kitchen and Monsieur drain was there in 5 minutes. They were so calming and fixed the problem right away. I would highly recommend them to anyone. They were great!!! I am very happy with the amazing job these guys did. Main pipe from house broke and everything was coming up in the downstairs shower. What a mess. These guys worked and did not stop until the job was finished. They worked all night as they had to cut through the foundation to remove the pipe. Very very good employees who know what they are doing. The driveway had to be torn up also and now everything is finished and we are very happy. 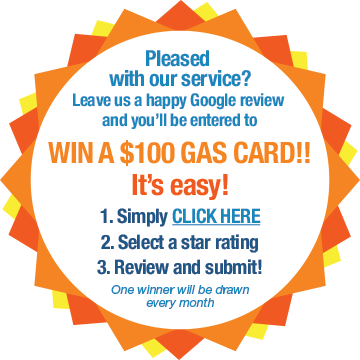 I highly recommend this company and I would not hesitate to call them again if I ever need them but with the excellent job they did I don’t think I will need them again. Your two sons were at my house yesterday afternoon to unplug the drain in my garage and I just wanted to let you know how happy I was with their professionalism. They were polite, informative, and efficient and I was extremely pleased with their work. I will certainly be happy to refer your company to anyone I meet who requires your services. I don’t know what runs through most people’s heads when they see bubbling brown ooze coming up their main drain in the basement, but mine was HOLY CRAP! followed by a brief yet intense bout of panic. MR. DRAIN was helpful, supportive, friendly and professional every step of the way. From initial home visit, to work completed!! Less than two weeks. The crew was awesome and work done in record time. MR DRAIN even made some suggestions that were smart modifications for my little duplex. I thought the end of the world was near, especially as the sewer backup happened on a Sunday. They came right away and took charge and calmed me down!! Basement as good as new. Clean, no mold, nothing but smooth sailing for years to come. Thanks to ALL the good people at MR. DRAIN! First responders, excavation crew, (awesome woman on backhoe! )Kelly in the office, and the people who help rebuild the lawn, but especially DAVID. You live up to your name and go beyond! Thanks so much for everything. Monsieur Drain (Howard and David) were great. I needed to have my old terracotta sewer pipe removed. Their team was on time and got the job done within the day. Had a major problem on Easter weekend.Sewer line blocked by tree roots. Called Monsieur Drain Easter Sunday.Howard person in charge came that same day.Next day he was there again with his workers.Replaced blocked sewer by the end of the day.That’s what I called reliability and efficiency. Howard the kind of person who treats you like a friend not a client.Thanks Howard. We were flooded on Wednesday and very happy clients on Thursday. Maxime and Corey came very quickly and unblocked our drain. They are real professionals and we would recommend Monsieur Drain to anyone with a plumbing problem. The customer service at Monsieur Drain was A-1 from the friendly voice on the phone to the 2 guys who came to do the work. Every one of them took the time to explain the problem and to answer our questions and concerns. They gave us tips to prevent any problems in the future and they completed the work in a timely manner. I hope we don’t need a plumber any time soon, but if we do we will not hesitate for one second before calling Monsieur drain again! Saturday afternoon while setting up for a sunday party the water wasn’t going down the drain in the kitchen! I called Monsieur Drain and within 2 hours they were at my home! Two really nice guys, super friendly got the job done. I would certainly recommend them! Thanks guys!! And I won’t put coffee grind down the drain again. Extremely happy with Mr. Drain service!! Mr Drain came to my daycare where I had been very busy and had a million other things going on, the last thing I needed was a plumbing problem. Mr Drain was very fast at responding to the call and was able to fix the problem quickly. After they have located the problem, they were able to explain all the details and walk me through the procedure. The team was very clean and polite. I would definitely recommend them to anyone with a plumbing problem! Great service!!! Quick and efficient. We definitely recommend them! We didn’t know we had a stuck back water valve which was allowing rodents to come in. They identified the problem within a few minutes. Very punctual as well. My sewer drain got blocked during the holidays. Called Monsieur Drain and spoke with David. He promptly came by to assess the situation. David took the time to explain and recommend the way forward taking into account my concerns. Roots were deep into the piping, and there was no easy way around it. The sewer drain pipe had to be replaced. David and his team dug out the old pipe and replaced with a new one in the same day! The team was very organized and clean. I was kept in the loop every step of the way. It was very comforting to see these guys are proud of their work and take it personally. They are experts and it shows in the quality of service they deliver. I highly recommend them if you are in a similar situation. You will not be disappointed. Had to replace the main access to the drain pipe in my house and was given Monsieur Drain’s number. Thanks to David and the team they came to inspect, and within 24 hours had a crew in to fix the problem. The workers were accommodating and polite, which is not always the case when you have workers in your home. Also David was able to recommend the best approach for us and our home not just the most expensive. Your expertise was much appreciated. Would highly recommend and use again if ever there’s a need. Our main drain pipe broke and we called in Monsieur Drain to fix it. The work was done quickly, efficiently and with minimal disruption to us. Howard, Max and the rest of the team were extremely polite and walked us through every step of the process. No one wants to be in that type of situation but Monsieur Drain were amazing and I would absolutely recommend them to anyone! I had sewer water coming out in my basement and within a couple of minutes David and Howard were already at my house in order to find the problem. my main drain had collapse and they did an emergency excavation and within 24hr they fixed the problem! way to go guys!! We experienced a garage floor drain problem which was causing a noxious odour. Within an hour of calling Monsieur Drain, Howard Cohen arrived at our home to verify and analyse the problem. He then scheduled Maxim to come and do the required work the next day. When there was to be a slight delay in meeting the schedule we were called well in advance. This type of notification is rare but much appreciated…we were not left “hanging about”. The work was done expeditiously with full explanations of what it entailed. The cleanliness, in a very dirty situation, was superb. Mr. Cohen and his employee Maxim were very polite and personable,another big plus in our opinion. Kudos for a job well done!!! We would certainly recommend this company!! Thank you for your service. We had a water leak problem in our condo which resulted in quite a bit of damage to our shower and the leaking damage to the apartment below. 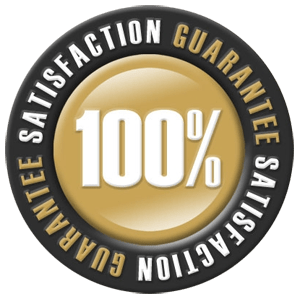 mr drain was extremely efficient and prompt in delivering excellent service as well as being very honest in handling all our concerns about the repair. they were a pleasure to deal with. would recommend them without hesitation. Je suis très satisfaite du service reçu par Maxime. Il m’a appelée pour m’informer qu’il serait en retard car il était dans le trafic. Super poli, super gentil, il m’a expliqué le problème et comment ne pas le reproduire. Il m’a suggéré un petit entretien facile à faire. Je recommande les services de Monsieur Drain à tous. Merci! Wonderful, fast service. They didn’t give up trying to unclog the sewer when some would have just wanted to excavate. The boss came late at night on a Sunday to make sure it was unclogged! It is difficult for me to take off time from work, but Howard and Maxim came to my house even on a stat day to accommodate me. They fixed a leak in the back of my fridge (that 2 previous plumbers tried to fix in the past), they past cameras through my drains, cleaned the pits AND pumped my three shower drains all at the speed of light! They left no mess behind and were extremely friendly! They took the time to explain everything to me and reassure me. Thank you for all your help. I know exactly who to call if I have any other plumbing or drain issues again: Mr. Drain it is! Monsieur Drain came to our rescue and they were trustworthy and hard working. We had a sewage block and Monsieur Drain professionally assessed and offered us best options and came to our aid same day and never left until job was completed. Their strong array of services allows them to handle any issue without having to subcontract elsewhere or leave you stranded cause their not equipped to handle. As a family we could not be without our water and plumbing ,and they recognized this. They overcame hurdles that our plumbing presented during. Their website is top notch and made me want to hire them. Each of the gentlemen would explain any detail to me, and they all provided service with a smile and made the customer feel at ease the whole time. I would highly recommend them. They pride themselves on their customer service and they go above and beyond for this; it’s a breath of fresh air in an industry full of plumbers who did the job too long and lost their passion and don’t feel they need to explain anything or reassure. Kudos. Thanks to Howard and his team at Mr. Drain for the very fast and professional work done replacing the drain to the city at my home. They obviously know what they are doing and I would recommend them to anybody. Dave Dorval. Mon drain était complètement bouché. Monsieur drain sont venus en urgence et on effectués de l’excellent travail pour changer les tuyaux de renvoie d’eau et ont même changer plus de pièces que prévus. Je suis très satisfait de leur service. Félicitations Mr Drain. Mr. Drain certainly came to our rescue this past weekend. After the beginnings of sewage backup into our basement Mr.Drain and his team came to work right away. Although our main drain had to be replaced, Howard and Shawn did not leave until the job was one. They arrived at noon and were here until 2 am finishing the work. They are a hard working and dedicated team who I would highly recommend to anyone from small plumbing issues right up to major excavations like we had to do. Thank you again Mr. Drain for your outstanding work and for saving the day!!!! In the process of my parents selling their home,the inspection required getting the French drain verified. We called “Mr. Drain” for the job. They were very prompt to respond, within hours they showed up to pass the camera in the drain. The team was straight forward and efficient. The French drain had to be changed. Within days they job had begun. The team was fantastic and very patient considering my parents don’t really speak French or much of English. They were accommodating in calling me to explain thing to parents. They did their work cleaned up their mess and were off! A great experience! I had big plumbing issues in my triplex. The main drain was blocked and excavation was required to replace the issue. I contacted Howard Cohen and after 30 min on a Sunday morning he came to check out the issue and gave me an estimation of the work to be done. The next day his whole team was working starting 7 :30 am and they stayed until 4 :00am because we had more complicated plumbing issue in the house. Howard took care of the whole process from A to Z(coordinate the work, talk to the insurance…).Most importantly he was always available and constantly answered his phone when I called him. I will never use other than M.Drain for any plumbing issue or projects because they are very professional but mostly they give an excellent customer service and they are simply the best!!! Thx Guys!!! Mr. Drain came to my home today for a plumbing job. They were extremely professional and very knowledgable. They completed the job quickly and efficiently! I could tell that the two service technicians were equipped to handle any task! Personal service and a job well done! I will be a loyal Mr. Drain customer for life! Thank you Howard and your entire team! Monsieur Drain came to our rescue in November 2013 when the main drain of our condo complex was blocked. They did a very good job that day. Unfortunately, our problem was more severe than expected and we had to call them back. They were quick to respond the second time around and offer us a solution to our major problem. They took charge of the whole project and resolved our problem, even if it meant staying very late to complete the work. They made sure that we were happy and satisfied customers. We highly recommend them for any plumbing problems you might have in the future. They are the company to call. In October our home was faced with some serious piping issues. I was refered to Mr. Howard Cohen & Mr. Kellner from Monsieur Drain and was very pleased with how professional the team was. They fixed our pipes within the set timeframe and offered an exceptional service. Thank you team for your great work! In the cold month of December when we hit below 35, I woke up to a surprise around 1:00am. Our Pipe in the Toilet had frozen. We called plently of companies that indicated 24hr service & none were available to answer the telephone. When I finally came across Monsieur Drain they were the only one’s to answer & they were at my place the same day & defrosted our toilet pipe. I’m grateful for their service & will keep them in mind for the next service or job we might require. Keep in mind that a surprise service call even for a defrosted pipe is costly, but they were the only ones to answer their telephone at 1:00am. They back their 24 hr service where every other company claims 24 hr service yet no one is at the other line to answer your call. Everything happens for a reason, getting to have Monsieur Drain come over that day has given me a new contact whenever we require any plumbing services. Thank-You for your quick & professional service. After a long and what seems like forever search for the right and reliable, not to mention a trustworthy team to tackle our drainage issues, I finally summoned up a couple of companies, however, I was drawn to call Mr Drain and spoke to DAVID and explained away my problem. Being that this was a nerve wracking situation, right off the bat he was absolutely comforting and non boastful about what his team could do, instead he listened and ask the right questions…an hour or two later David came and began a thorough investigation of the issue, with no time wasted got down to the core of the problem which was the main drainage using their reliable equipment to help us identify what was wrong and make it right ( exactly what he said he was coming to do… I was afraid of trusting and being talked to some work that was not necessary and costing my family more than expected, however, he was ever honest and pointed out what was going on during the work ( nothing to hide and I was present at all times). I would certainly recommend this team to anyone. FAST AND RELIABLE! Very efficient! They treated you as if you were a part of their family! I will not think twice on who to hire for minor or any major plumbing problems. il n’y a pas beaucoup d’entreprises de ce type d’intégrité et de l’honnêteté de travail de la bonté de concitoyens, mais MONSIEUR DRAIN est certainement l’un des meilleurs à Montréal! FROM MY FAMILY to DAVID, HOWARD AND TEAM! MERCI ÉNORMÉMENT! I have had Monsieur Drain to my properties to fix various problems over the years. Knowledgeable staff and friendly advise is what I get each and every time. Monsieur Drain, you’ve got a customer for life right here! Thanks for everything! After a week of having a clogged up kitchen sink, we decided to call Mr. Drain to unclog our sink. What was supposed to a simple unclog, turn out to be a broken drain in my foundation floor. Mr. Drain encouraged me to immediately call my insurance company, as it would require a complete demolition of half my basement. They worked with my insurance company to guarantee a swift remediation of the problem. They were ready and available when most plumbers would not be (this all happened during the construction holiday). They were also encouraging, and supportive throughout the whole experience. A1 for Mr. Drain! One of the pipes was blocked on Saturday night. Water would accumulate in the sink and not drain away. Called a few places on Sunday with “emergency services” but no one answered except Monsieur Drain. They came within hours of being called, unblocked the pipe and even checked the rest of the plumbing. Really nice people with down-to-earth advice. Thanks! I have nothing but high praise for the Mr. Drain team with dealing with the major problem I had. They went above and beyond to help fix it, and had full communication with me throughout the problem, explaining every step, the things I’d need, and the things I should know. What makes them stand above the rest, the emergency not only needed to be taken care of ASAP, but in 12 hours of the incident, I needed to be on a plane on vacation. The team stayed through the night, literally waiting on site until their machinery arrived, and completed as promised hours before my departure. They also help close the loop with insurance and helped me with all required documentation that I needed to submit. Will use any time I need future help with plumbing / drain or…..even landscaping! We were confronted with an immense problem due to tree root invasion of our main drain. This event would have had catastrohpic consequences had we not had Monsieur Drain on our side. Although this event took place 2 days before Christmas, on a dark freezing night, the owners, well versed in handling such emergencies, organized the city public works, and brought a highly epxerienced excavation team, and they all persisted with the difficult labour under trying conditions until morning when the drain from the house to the middle of the street was completely replaced. We were very fortuante to have Monsieur Drain and we certainly recommend the company highly. We plan to use the company for all our plumbing needs.